Cable Newspapers has apologized for the erroneous report it published, alleging that Wole Soyinka made derogatory remarks about Igbo people. The management of Cable Newspaper Ltd, publishers of TheCable, would like to make the following statement concerning our report on the lecture by Professor Wole Soyinka at the Harvard University Hutchins Centre for African & African American Research. Soyinka was quoted to have made derogatory remarks about the Igbo over their voting pattern in the March 28 presidential election. He has since denied the offensive quotes attributed to him. 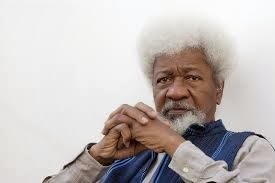 After an in-house investigation, we have come to the conclusion that the story misrepresented the views expressed by Soyinka in the question-and-answer session after his lecture. We take full responsibility for the inaccuracy and promise that we will continue to strive to improve our standards. Also, we wish to reiterate that we take our professional responsibilities very seriously, as our readers can attest to. We hereby offer an unreserved apology to Soyinka, Ndigbo and our readers.